Look Hear 2017 Results Announced! - Kazoo! 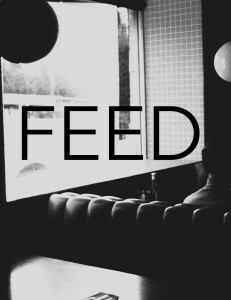 We are excited to announce that our 2017 Look Hear Micro-Grant will be awarded to Guelph based artists: Samantha Cardow, Denise Nouvion, and Evan Abeele who will be working on a new multimedia performance called FEED which will debut at Kazoo! Fest in April 2017! This project was commissioned as part of the Look Hear Micro-Grant which helps fund the creation of a new multimedia performance created by local artists to debut at Kazoo! Fest each year. Thanks to our friends at Ed Video Media Arts Centre for helping make this opportunity possible.